Choose a feature from the menu on the right. Our online payments system uses the latest in secure-transaction technology, so you can pay your invoices with confidence and ease. Filter and sort invoices by date, sub-account, amount, and more. Select which invoices you'll pay, or choose to pay a flat amount. Choose from secure payment options, including ACH Bank Transfer, credit card, and more. View invoices before paying or print/save a .PDF copy for your records. Receive all of your invoices through email and earn a reward of $0.10 for each and every invoice. Our payments page in Account Payables lists any recent payments you've made and allows you to search your payment history. View details for any payment and see which invoices were paid. Custom Lists are a great way to save time ordering the products you need most often. Add your common items once and you're done! Easily add items to Custom Lists while browsing our products. Save, share, copy, upload, or modify your Custom Lists. Change quantities at any time--you can even add multiple copies of a list to your cart. Use or modify our 'Featured Lists,' made by professionals to get you started using Custom Lists. Our Custom Part Numbers system (found under Account > Purchase) allows you to use your own part numbers throughout our site. Search Products and add your part numbers to items. Use Rapid Entry, entering the desired part numbers. Upload your part number data as a .csv spreadsheet. Once loaded, use your custom part numbers to search, make rapid orders, and have them appear on your invoices. Getting a Quote is fast and easy at Elliott Electric Supply. Our website provides straight-forward ways to request a pricing quote online. Add items with our Product Search, Rapid Quote, or Copy-and-Paste the items/quantities into our Bulk Quote Pad. Search for past quotes and convert them into orders with ease. 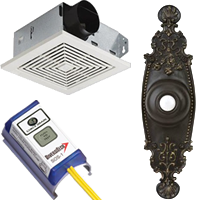 You'll see pricing from EES Quotes reflected in our Products section when searching or browsing. Request quotes for all or individual Sub-Accounts. Our Products Search has been completely rebuilt. The search box at the top of every page now accepts any entry, with no need to choose a location beforehand. Searches are now faster and much more accurate than before. Specifying a location and a search type is no longer required. Search results can be sorted and arranged into different layouts. More product details, spec sheets, images, and ordering options, like Bulk Order (copy-and-paste). Our 'Make a Payment' page now utilizes a payment scheduling system, allowing you to set up your payments in advance by picking a date during the current business month when the payment will be made. Enjoy the same shortcuts for selecting invoices to pay. Your overview & payment history shows any payments scheduled. The Locations section of our site allows you to search for Elliott stores and provides contact info, hours, directions, maps, photos, & more. Search for Elliott stores by entering a zip code, area code, or store number. Details page lists links to all stores, grouped by state and region. Now with a larger, improved map on the main Locations page. When you are logged in, 24/7 Emergency Contact numbers appear on each store's details page. Note: For a more detailed review of our website's new features, check out New Site Features: In-Depth, or browse our Site Capabilites Brochures.